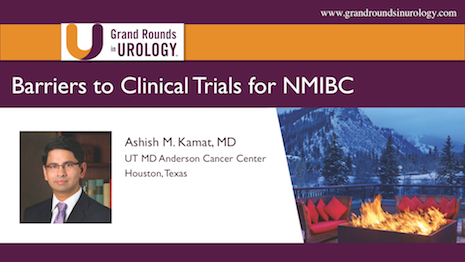 Ashish M. Kamat is Professor of Urology and Cancer Research at MD Anderson Cancer Center; Associate Head of the Cancer Center, Reliance Foundation Hospital in Mumbai, and President of the International Bladder Cancer Group (IBCG). He is Associate Editor for European Urology Oncology, served as the Director of the MD Anderson Urologic Oncology Fellowship from 2005-2016, and is a graduate of the American Urological Association (AUA) Leadership Program. Dr. Kamat’s focus in urologic oncology is on bladder cancer, especially immunotherapy, and he maintains an active research portfolio in this area. His research laboratory focuses on identifying and developing predictive markers of response to therapy, and research into mechanisms of inducible cancer stem cells. These findings have been published in high impact journals. He has over 225 publications to his credit. Dr. Kamat is listed in 'Who's Who in Medicine' and ‘Best Doctors in America,’ and has won the ‘Compassionate Doctor Award’ from patient groups. Dr. Kamat actively participates in various global urologic efforts, serves on the board of regional and national societies for urology and urologic oncology and also in patient advocacy groups, like the Bladder Cancer Advocacy Network (BCAN). He lives in Houston, Texas with his wife and two children. 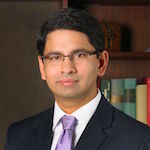 Ashish M. Kamat, MD, articulates the discrepancies in the American Urological Association and European Association of Urology bladder cancer treatment guidelines, challenges in defining a risk-stratification scale for the disease, knowledge gaps regarding BCG failure, and other factors that hinder the urological community’s ability to design quality clinical trials for non-muscle invasive bladder cancer.